Hello Doodlebug Friends! 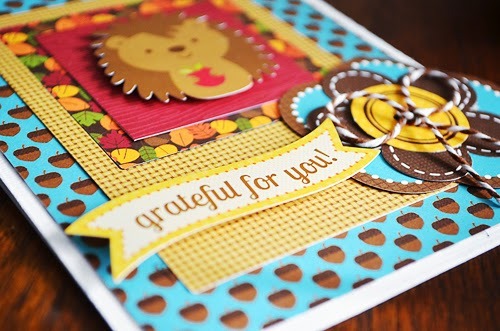 It’s Wendy Sue and I’m happy to be joining you today on the Doodlebug blog! Since November is traditionally recognized as a month of gratitude, I thought it would be fun to create some cards to share with a couple of people I am personally grateful for. But before I write in them and send them off, I wanted to share them with YOU! 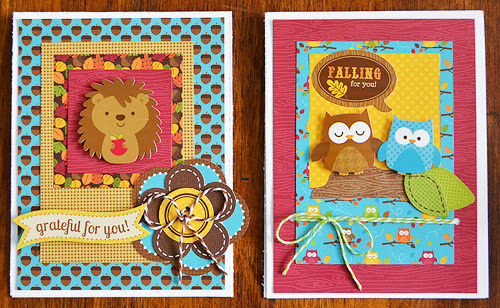 I used the Happy Harvest Collection – I just love the fun colors and super cute animal designs. 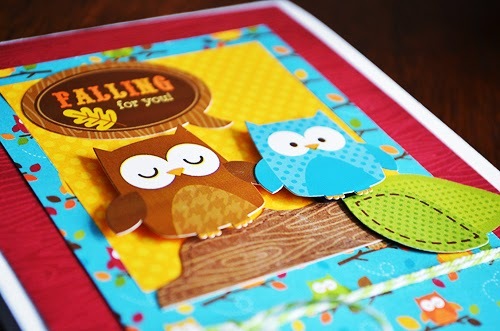 The stickers are so cute and I always love adding a bit of dimension with some foam adhesive squares – not enough to make the card bulky, but enough to add some dimension and interest! I used a new Polaroid die-cut that I recently acquired and I just love the layering effect that can be created so easily, simply by popping out the center and flipping it over to a coordinating paper and design. And speaking of layering, aren’t the mini flowers great? They are so easy to mix and match the pieces to create custom flowers – so fun and colorful! These are adorable!!! 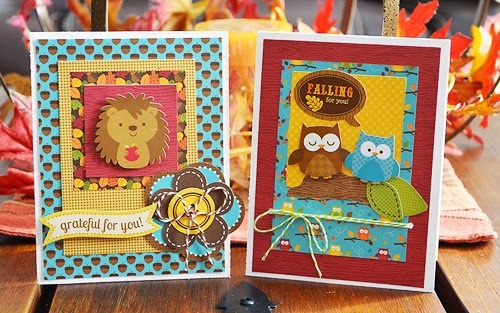 That little hedgehog is my all time fave!! Sooooo cute! Love all that gorgeous layering.